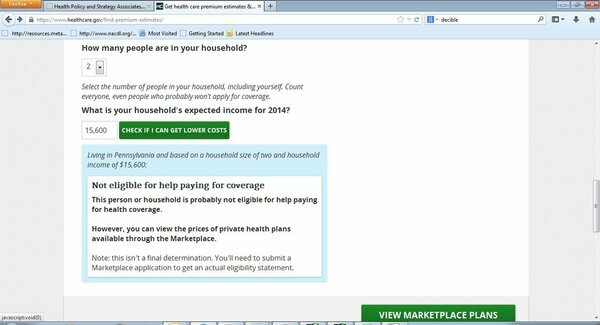 A glitch on Healthcare.gov that may have kept people from signing up ahead of the March 31 open-enrollment deadline was discovered Thursday by a reporter at The Philadelphia Inquirer. The Centers for Medicare and Medicaid Services, which oversees the website, told the paper it would be fixed. The federal agency appeared to have taken care of it by Friday morning, according to the Inquirer. The quick fix and lack of comment from the agency is "exactly what tech companies do when glitches happen," explained Ken Deutsch, EVP at JPA Health Communications. He added that Apple recently acted in a similar fashion when a vulnerability in its mobile operating system was found. The company fixed the issue, told users to download a new version, and made no statements to the press. Yet because there are so many people lining up to politicize Healthcare.gov, whether to praise or kill it, this can’t be a story that the Obama administration wants out right now, said Deutsch. He added that the glitch should not cast a shadow over the final days of open enrollment. In fact, the White House could even see its goal of 6 million people signed up for coverage surpassed by the end of the month, according to ACAsignups.net. The website, which pulls data and examines examples such as Massachusetts’ healthcare law to predict how many enrollees will sign up by the deadline, is run by Charles Gaba, a self-described "numbers geek," according to The Washington Post. Two weeks ago, the president appeared on Between Two Ferns, a low-budget talk-show spoof hosted by Zach Galfianakis. He made other media appearances, including a spot on Ryan Seacrest’s radio show and an online chat with WebMD readers, but his appearance on Funny or Die alone reportedly prompted a 40% hike in visits to Healthcare.gov. There’s no sense in distracting from positive messages now, Deutsch added, because the White House is reaching its target audience of young people. It’s something the Cambridge, MA-based Deutsch has seen before on a local level, when former Gov. Mitt Romney introduced his healthcare plan to the state. In that case, there was a rush of signups right before the deadline. "They’re targeting the ones you’d expect to sign up last," he said, referring to young people.